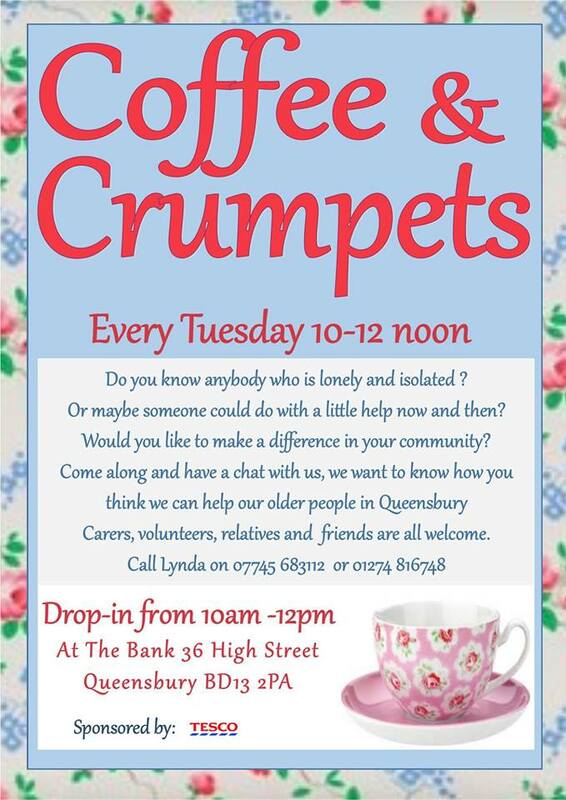 If you know anyone who could do with getting out of the house, have a cuppa and a chat, then drop in to Queensbury Community Programme for Coffee and Crumpets every Tuesday 10:00am-12:00pm. Carers, volunteers, relatives and friends are all welcome and perhaps you could make some suggestions on how to help the elderly people of Queensbury. For more information call Lynda on 07745 683112, email qcpinfo@gmail.com or call 01274 816748.